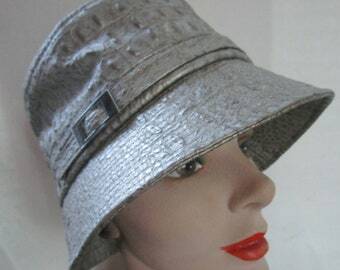 Fun packable boho floppy wide brim hat from Kokin New York. 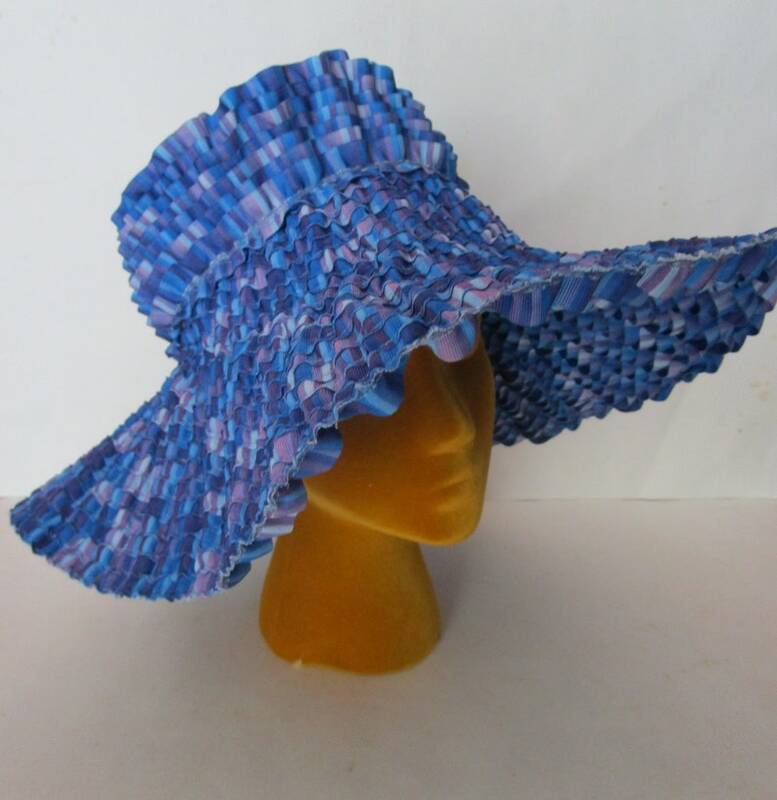 Made from ribbed 1" grosgrain ribbon, slightly ruffled and concentrically sewn into this cute softly constructed shape. Varigated color is mostly blue with purple and lighter accent blue. Hat is pose-able and easily packed. Perfect vaca, beach, travel, sun hat. Condition: Very good vintage condition, slight wear inside band, slight misshape, slight edge fray See photos. Size: Measures 22-3/4" inside velvet ribbon circumference, 19" inside diameter side to side, 6-1/2" brim at front, 4" tall crown height.